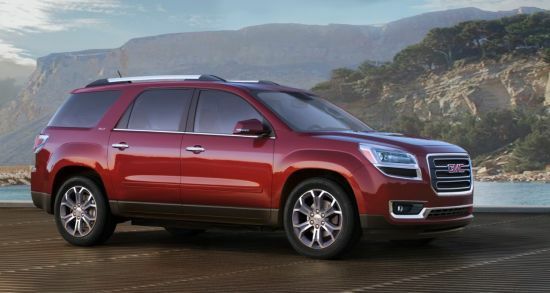 The used GMC Acadia is a large three-row crossover SUV bound to meet your driving needs. Throughout the GMC Acadia's life the vehicle has been known for its top crash test scores, seating for up to eight passengers, generous cargo capacity behind the third row and excellent ride quality. This vehicle has been very popular throughout its life, and for that reason we want you to keep reading to learn more about how a vehicle from our used GMC Acadia inventory could be for you! 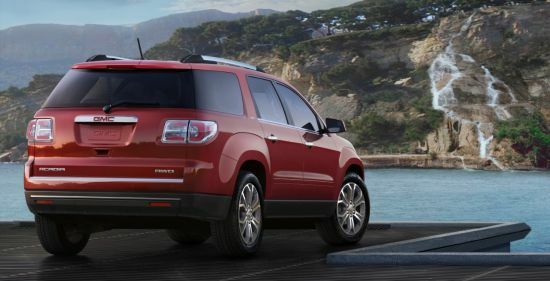 The GMC Acadia offers great fuel economy and a quiet and smooth ride. When correctly equipped, the GMC Acadia can haul up to 5,200 pounds worth of equipment behind it. Your GMC Acadia would likely come with a 3.6-liter V6 engine that with the Denali trim produces 270 lb-ft of torque and 288 horsepower. In the SLE and SLT trims the 2.6-liter V6 engine produces 266 lb-ft of torque and 281 horsepower. All-wheel drive has been available for the GMC Acadia, however, front-wheel drive has been the standard along with a six-speed automatic transmission. The front-wheel drive Acadia can provide up to 24 miles per gallon highway, 17 miles per gallon city and 19 miles per gallon combined. Getting this vehicle with all-wheel drive will provide up to 23 miles per gallon highway, 16 miles per gallon city and 19 miles per gallon combined. The SUV's maximum payload capacity is 1755 pounds. Three basic trims--SLE, SLT and Denali--are available for the GMC Acadia. The vehicle's SLE and SLT trims are subdivided into SLE-1, SLE-2, SLT-1 AND SLT-2 trims. 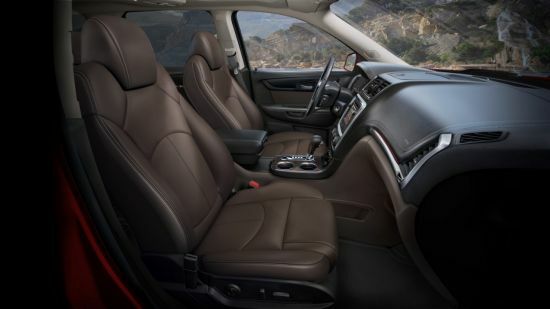 The GMC Acadia will provide you with a very spacious interior, providing a 116.1-cubic foot cargo capacity. As mentioned, the GMC Acadia offers an eight-passenger seating configuration, and that configuration comes with a second-row bench seat. However, you may have a seven-passenger configuration with captain's chairs in the second row. You will likely be rolling to your destination on eighteen-inch wheels. The vehicle usually comes with a tilt-and-telescoping leather steering wheel for comfort and luxury. Expect to have premium cloth upholstery that comes in either an Ebony or Light Titanium color. Keyless entry will make it easy to get into the vehicle without having to manually turn a key in a lock. Examples of exterior colors that this SUV has been available in include White Diamond Tricoat, Crimson Red Tintcoat and Dark Sapphire Blue Metallic. What is the SUV's top payload capacity? The SUV's top payload capacity is 1755 pounds. Payload includes the weight of all passengers and belongings inside the vehicle. What trims are available for the Acadia? SLE, SLT and Denali are the main trims. However, SLE and SLT trims are divided into SLE-1, SLE-2, SLT-1 and SLT-2 sub-trims. On West Beltline Highway in Madison. Get directions to us here! Getting this SUV will likely provide you with rear parking sensors, a rearview camera, side curtain airbags, front seat side-impact airbags, stability and traction controls and antilock disc brakes. Many GMC Acadia vehicles come with a front-center airbag that inflates between the front passenger and driver for a good deal of protection in a side-impact collision. This vehicle has been made with OnStar, a safety system that allows for remote door unlocking, on-demand roadside assistance, automatic crash notification, and provides an emergency button and a stolen vehicle locator with active intervention. We look forward to you paying a visit to Kayser Used Cars to check out this great SUV and helping you with your vehicle search!